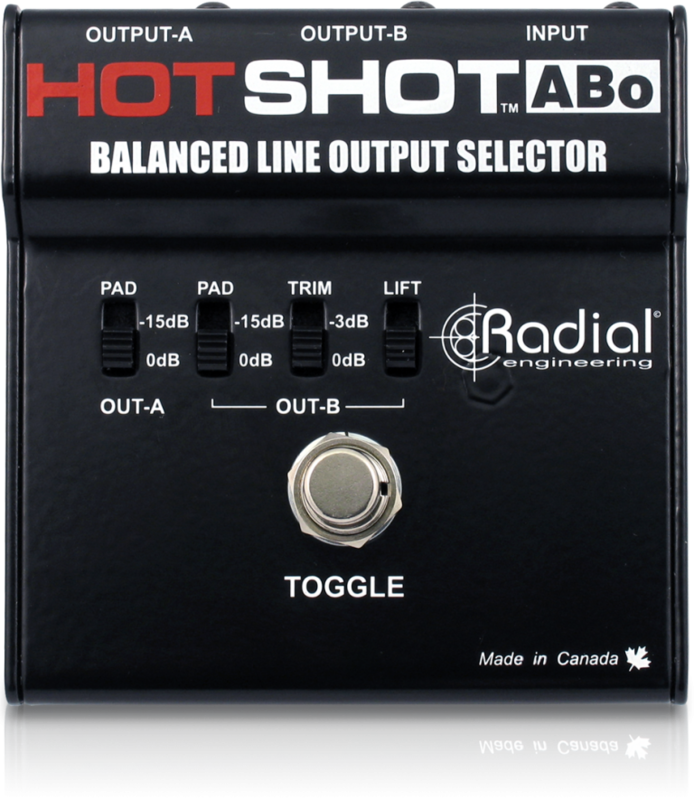 The HotShot ABo is a latching footswitch that will take a balanced input on stage and switch it between two different destinations, without requiring any power to operate. 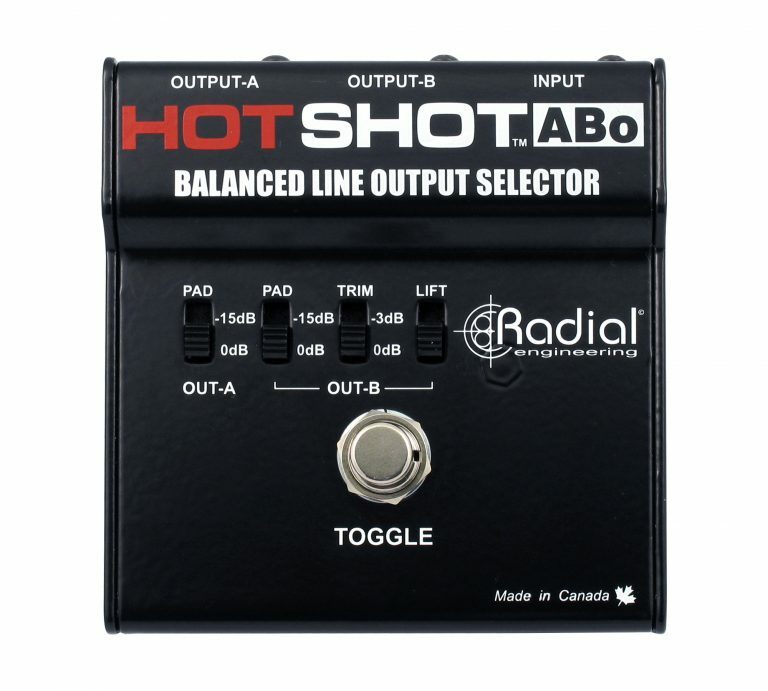 The Hotshot ABo takes a balanced XLR input and provides the ability to switch the signal between two destinations using a passive footswitch on stage. 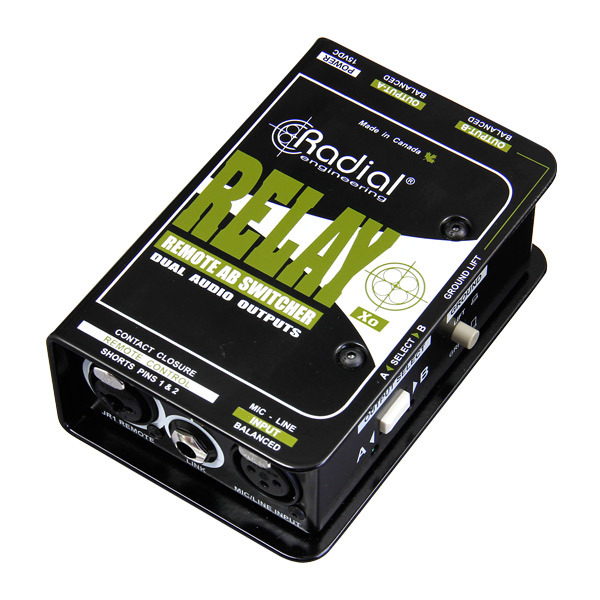 This makes it ideal for a variety of applications, including driving two channels on a mixing console for dry and wet effects routing, diverting a dynamic mic from the PA system to the monitors or an intercom system, or for temporarily muting the signal when coughing. 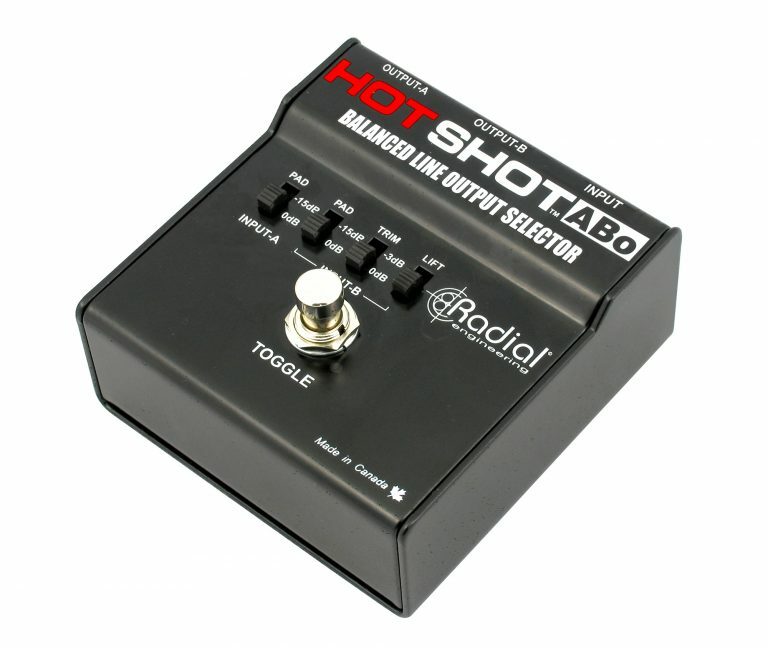 The ABo uses a latching footswitch, so it will stay on the last output selected until you hit the footswitch again. 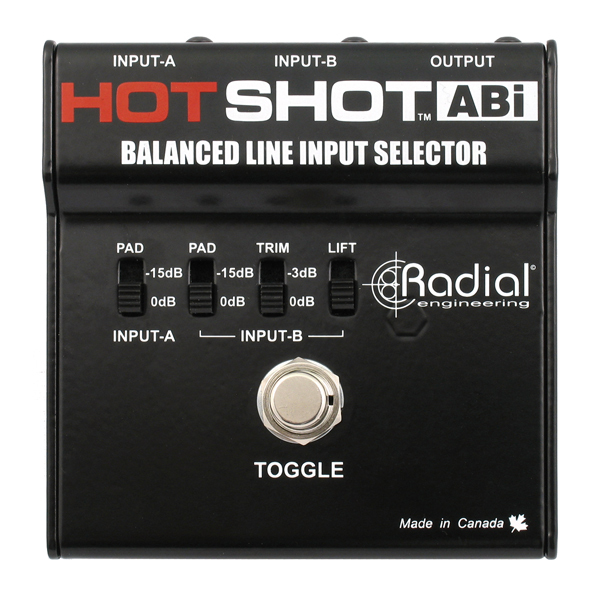 Imagine being able to control extra echo or reverb when you are singing on stage! 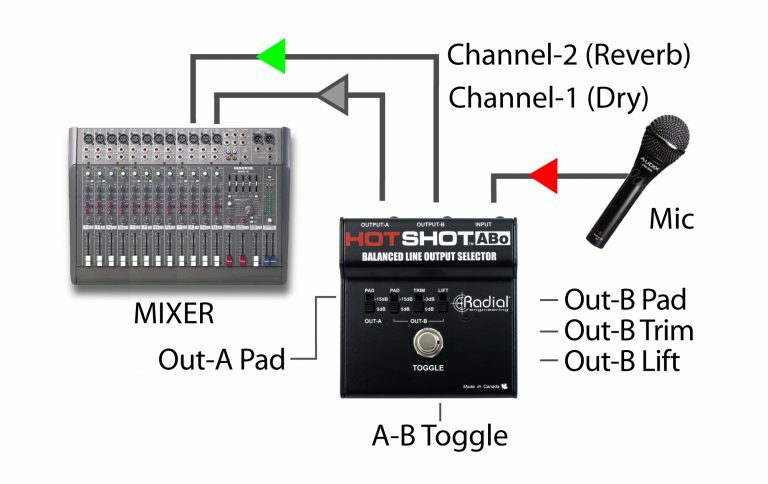 Simply connect your mic to the ABo input and then send the outputs to two separate channels on your mixer. Set one to dry and one to wet. 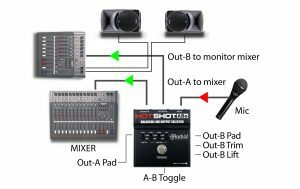 You are now an audio engineer! 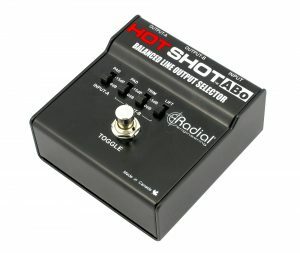 With in-ear monitors, speaking to band members is impossible. The ABo makes it easy! 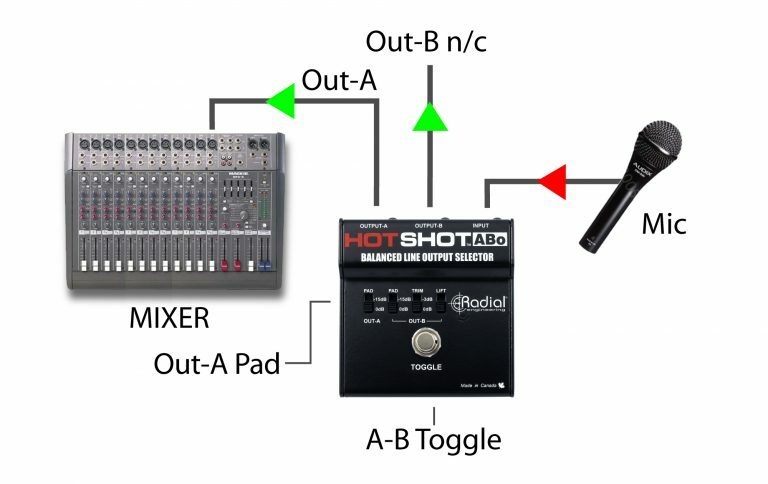 Connect your mic to the ABo with output-A to your normal vocal channel. 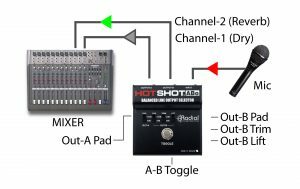 Use output-B to feed the in-ear monitor system and you can now chat with your friends all gig long! Muting a microphone on stage can reduce feedback. 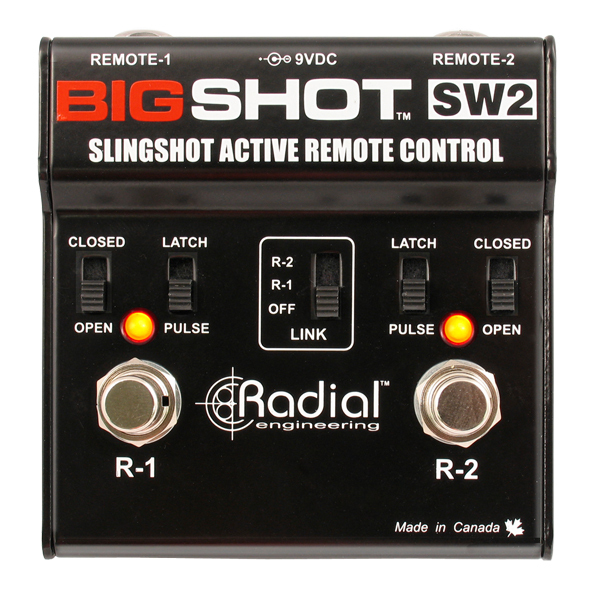 It can also help embarrassing situations such as letting you mute a mic when you need to cough. 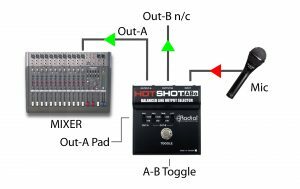 Simple plug into the ABo input and send the output-A to your mixer. 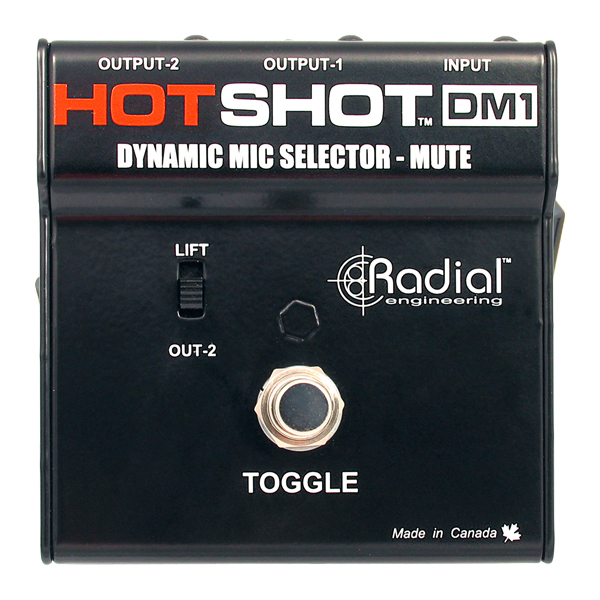 Toggle the footswitch to mute.